Not everybody can SEE Color. Most of us are familiar with the term of being “Color Blind”. But did you know that some people can HEAR or TASTE Color? Synesthesia is a neurological condition in which two or more senses are attached. People with synesthesia have a relationship between their senses. The excitement of one sense stimulates the experiencing of another. It is estimated that 4% of the population has synesthesia! 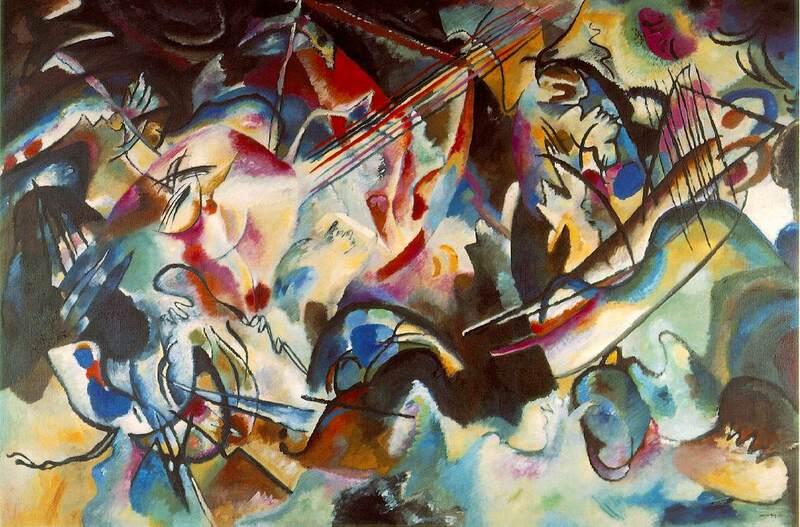 Kadinsky was credited with making the world’s first truly abstract paintings. His artwork is seriously intricate and he literally created symphonies of color! Hearing what he painted! Fascinating! Several books has been written on Synetshesia but I was intrigued by this one in particular. Especially since Bullying is such a huge problem in the schools today! I have not read the book myself yet, but as Psycology Today summed it up: ” Young Jillian is teased and bullied by her classmates when she accidentally reveals her cross-sensory impressions. She suffers until a special visitor to her school—a musician—teaches all the children that having synesthesia is an amazing and positive gift” You can read more about it here. Instead of describing more in words, I thought I’ll share this video with you of Neil Harbisson, the Human Cyborg, who has been born with Achromatopsia – Total Color Blindness! How blessed are most of us to be able to see COLORS! Grab yourself a cup of tea and listen to him talking about this fascinating condition. Let me know if you know someone that has Synesthesia by leaving a reply. Have you even heard of it before?